After 3 1/2 years of exciting activity across two workshops Anchor and Sail will end this month. 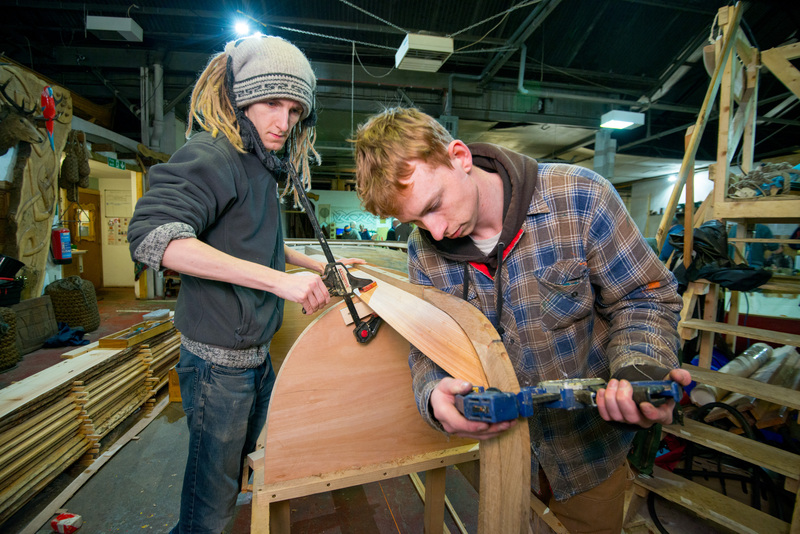 Since June 2014 we’ve built 4 new boats; awarded 8 City and Guild apprenticeships; worked with over 80 volunteers; take 12 cultural trips; ran three small events, two large festivals and made a huge pile of wood shavings. We’re so very grateful for the support of the Heritage Lottery Fund, Historic Environment Scotland and all our other funders. We also could not have managed it without the enthusiasm and dedication of every one of our apprentices, volunteers, participants and the staff teams of both the Clyde Maritime Trust and The GalGael Trust. Anchor and Sail may be ending but the activity isn’t both organisations are going to keep on building boats, The Tall Ship have hired their last apprentice Marie to lead a new community boatbuilding project while the GalGael are planning a whole range of new boats in the next year. As well as that the hugely successful Clydebuilt Festival will be happening again on the 15th and 16th of September 2018, head to http://www.clydebuiltfestival.com for more info on that. We’ll also be heading out on the water in 2018, GalGael’s West Coast Skiff will be hoisting it’s sail and heading out to sea while The Tall Ship will be finishing off Starcrest’s massive restoration before running trips out on the river in 2019.